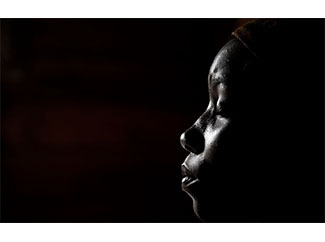 Today it starts in Santiago de Compostela this photographic exhibition on violence against women in DRC, India, Guatemala and Norway, supported by Humana. The exhibition, entitled "Violence Against Women", is open until 20 December at the Museum Pedagóxico Galicia (MUPEGA) with the cooperation of the General Secretariat for Igualdade of the Xunta de Galicia and the museum itself. Astrada, born in Buenos Aires in 1974, has several World Press Photo Awards in the categories of contemporary issues and news. The twenty images in the exhibition are the result of his tour of four countries on four continents to expose the causes and consequences of gender violence. "What we try to reflect is an overview of domestic violence, evidence that affects every country and can affect any woman, whether of one class or another, a more developed country or less, a religion or another ... "says the photographer on his own work. 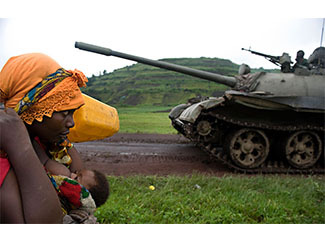 The violence is the most effective tool of control of women worldwide, with devastating consequences for global human development consequences, as women and girls who suffer, are nullified their capacity to actively participate in all facets of society. Humana impacts through development projects to reduce all forms of violence against women through education and empowerment. For example, in India, in 2013, through its microcredit program, he got 5,200 women to start small businesses and generate new sources of income for their families. In DRC, several new projects that promote sustainable agriculture techniques have been developed in recent years, where women participate in areas where they assume leadership positions and acquire new skills. Sensitization of communities is a key element in each of our projects, as we understand that the change towards equality is only possible when all the society aware of its importance.